The partnership aims to further develop solid-state battery technology to “achieve performance levels required for high performance” xEV vehicles, including longer range and a more durable longer-lasting battery. xEV refers to both battery electric and plug-in hybrid vehicles. The announcement follows a similar declaration of intent by Toyota and Panasonic, which recently announced their work to develop solid-state batteries at a press conference in Japan. 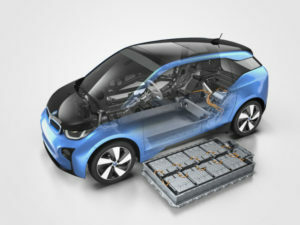 Solid-state battery technology is said to offer the potential for BMW Group’s electric vehicles to have an “increased driving range” and a “battery with a longer shelf life” that can withstand higher temperatures than contemporary lithium-ion, used in today’s electric vehicles. Due to the battery containing no liquid electrolyte, they are said to be safer and more cost effective than lithium-ion. “Since the company’s inception, Solid Power has worked to develop and scale a competitive solid-state battery paying special attention to safety, performance, and cost,” said Doug Campbell, founder and CEO of Solid Power.